We've grouped our Halloween games by age. This way you can quick see all of our Halloween games. We ran a series of blogs where we identified our favorite Halloween Party Games based on age. 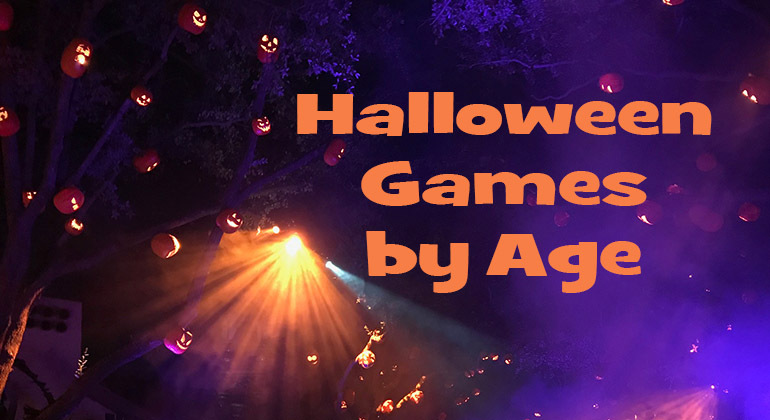 We had such a response to those posts that we created a page where we list recommended Halloween games by age group. Some games are listed in several age groups and that some games may not be listed as they may apply to all ages.